Indianapolis flooring store, Kermans Flooring, continues to give away a free rug each month to Facebook fans and email newsletter subscribers. Anita chose this vibrant and warm colored area rug for her home. She stopped by our flooring showroom in Castleton to select this area rug yesterday. Are you considering an area rug for your home? If so, please consider Kermans and stop by our showroom to see our selection and receive help from our designer sales staff. 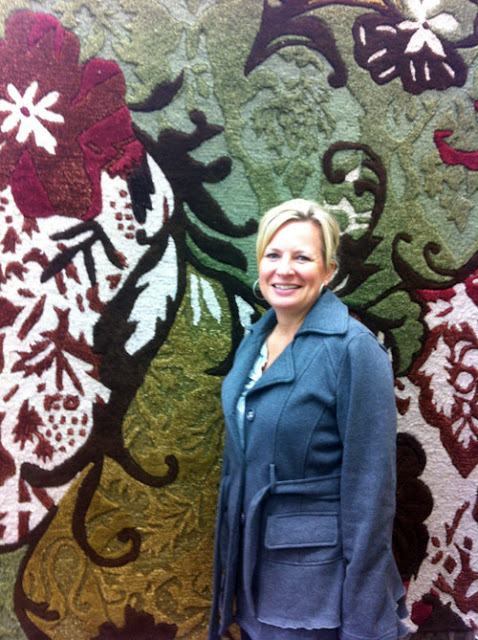 We have more than 88 years of knowledge behind us, and we are ready to help you find the right area rug for your home--from color, pattern and size! Our goal is to provide you with quality area rugs that beautify your home, meet your specific performance, budget needs and are easy to maintain. Visit our showroom to see hundreds of affordable styles and colors!